With over 100 active breweries in the state, Colorado holds the 2011 distinction of holding the fourth most breweries in America, the fourth most brewpubs and craft breweries in the country, the home of 4 of the top-50 brewing companies in the US, and the fourth in the nation in per capita beer production at 3.6 million barrels. That’s a lot of fours – and a lot of reasons why beer-lovers make Colorado such a popular vacation destination each year! The Bed and Breakfast Innkeepers of Colorado invite you to plan a responsible, Colorado beer-related getaway! No matter what time of year you visit, there are opportunities to taste and experience Colorado’s brewing heritage. This is simply an overview of what is available in most areas of the state. Your host innkeepers are, of course, the best resource for local event and activity information! Many even offer specials related to local beer-related activities and events. Tastings: Most Colorado brewery restaurants, and sometimes independent eateries, offer sample-platters and tasting opportunities of on-tap craft beers. 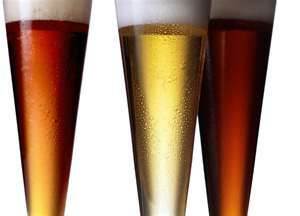 This is a great way to try a variety of beer without committing to an entire glass! Brewery Tours: Breweries, both large and small, offer tours of their beer-making facilities throughout the state. Take the opportunity to learn about beer production on either a large or small scale, and taste the fruits of their labors afterward! May 26-27, 2012: Beaver Creek Blues, Brews & BBQ Festival in Beaver Creek Village. Fun in the mountains complete with blues music, great beer, and tasty BBQ! Although this event is now practically over as of this posting, it is an Annual event, so plan to visit next year! June 8-9, 2012: The Snowmass Chili Pepper & Brew Fest in Snowmass Village. Chili cook-offs and tastings, beer samplings from over 40 microbrews from all over the US, and great music. June 23-24, 2012: Colorado Brewers Festival in Fort Collins. Music and beer with two performance stages and nearly 60 Colorado beers from 30 breweries. July 14, 2012: Colorado Brewers Rendezvous in Salida. Colorado brewers offer over 50 unique beers for your tasting pleasure! July 21, 2012: Breckenridge Beer Festival in Breckenridge. Currently in it’s 7th year, this annual event offers beer sampling and live music. August 4-5, 2012: Annual Bluegrass and Beer Festival in Keystone. It only SOUNDS like you’re in Kentucky! Food, beer, and music come together in this family-friendly event. Kids activities and bounce houses are available all day. September 14-16, 2012: Blues and Brews Festival in Telluride. Three days of live music, 50 microbreweries represented, kids activities, a variety of Blues performances, and the Telluride Acoustic Blues Camp make this event popular for beer lovers and musicians alike. October 11-13, 2012: Great American Beer Festival in Denver. Over 2,000 beers and tons of activities! Find your new favorite brew, find out about homebrewing, learn to judge beer, discover how to pair beer and food, and much more! Don’t miss the Silent Disco at the back of the Convention Center! A great resource for finding beer-related activities and information is the Beer Drinker’s Guide to Colorado. This comprehensive site contains interactive maps, a calendar of better-known beer-related events, a full list of Colorado Breweries that offer tours, and more information that will help you plan your ideal Colorado beer getaway! For information about specific areas of Colorado, feel free to contact the inn of your choice for detailed, local information. As always, the BBIC reminds you to be responsible about alcohol intake. Do not drink and drive – designate a driver or take advantage of area taxi services and public transportation to travel to and from your Colorado inn! This entry was posted in Uncategorized and tagged Colorado beer, Colorado breweries by admin. Bookmark the permalink.